Thrown on a chair, tossed on the floor or stacked on a shelf – if there’s one decorating item you can’t have enough of, it’s cushions. And the cuter, the better (and these little guys are pretty dang cute!). Naomi is the talent behind Manic Muffin Totes and is an absolute whiz at her craft. 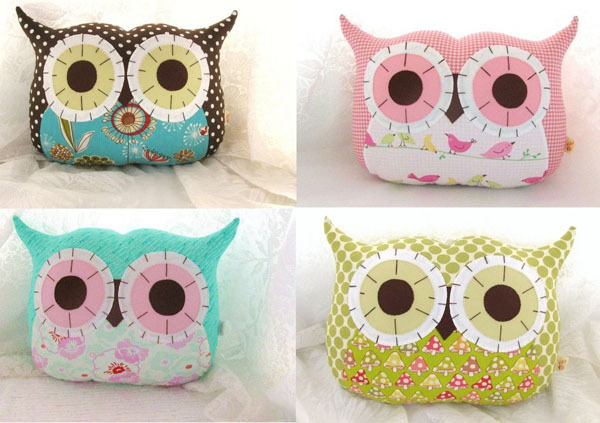 These charming Lil Hoot kids’ cushions that double up as plush toys will add whimsy to any space and are sure to become treasured favourites of small children and owl lovers alike. 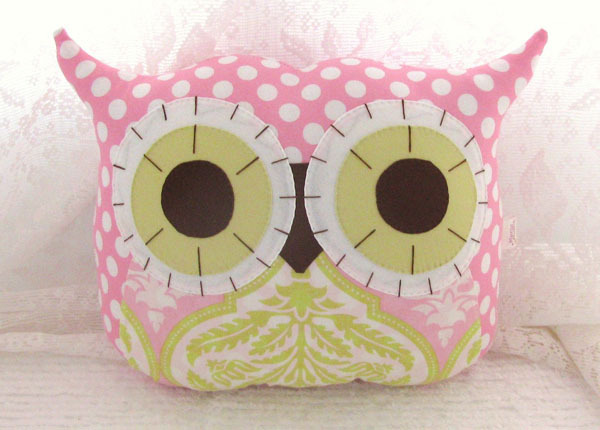 Each Lil Hoot is handmade, measuring twenty five centimetres wide, using gorgeous designer cotton fabrics. Eyes, beak and tummy are all fixed using needle-turn appliqué, so there’s no raw edges to get worn away after many hours of play. Depending on the fabrics used, Naomi has given all Lil Hoots cheeky names including Flora Nova, Ginger Blossom and Tweet Dreams – making each Lil Hoot unique. Custom orders are no problem either, if you have a particular vision for a wide-eyed friend, Naomi will do her best to make it a reality, all you have to do is ask! Pick your very own Lil Hoot at Manic Muffin Totes for US$40. Your new whimsical friend can be delivered to Australia for US$12.